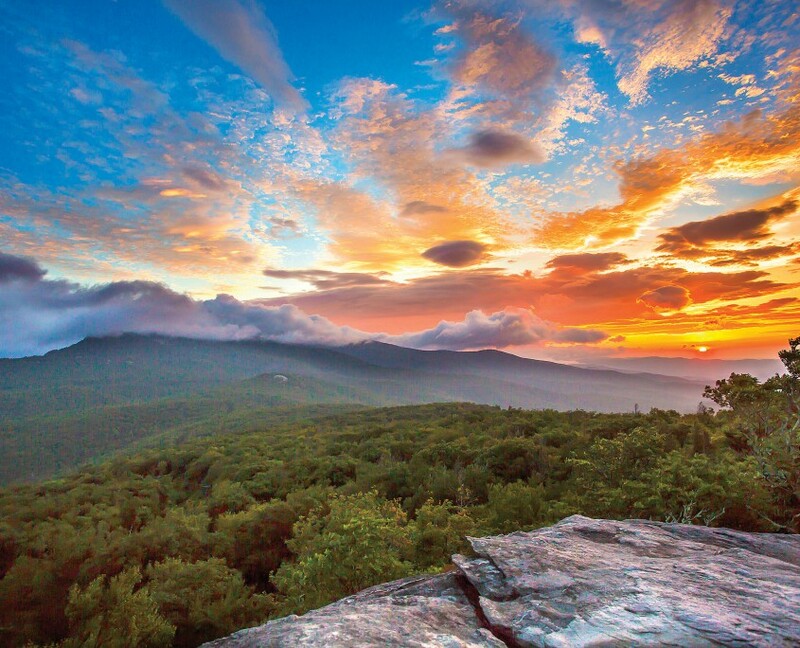 Grandfather Mountain State Park | Protecting the Blue Ridge Parkway in N.C. Grandfather Mountain’s stone profile faces have long gazed out over the ancient Appalachians, earning the acclaim of explorers and botanists alike as the apex of the Blue Ridge in grandeur and ecological diversity. In 1794, the mountain’s dramatic views convinced the botanist Andre Michaux that he’d climbed “the highest peak in all North America.” From alpine-like vegetation and vistas on the highest peaks, to cascading streams far down in the foothills, more than a dozen distinct ecological zones stretch across the landscape. More than seventy species of rare, threatened and endangered plants and animals populate this rugged mountain, earning its designation as a United Nations International Biosphere Reserve. The Conservation Fund and The Nature Conservancy were instrumental in protection of this natural treasure and its conversion to a state park. Directions: The park visitor center is accessible via the park entrance road off Highway 221 South, 1.1 miles west from Blue Ridge Parkway milepost 305.